The following tutorial will assist if you need to hold funds for one of your owners. You may come across a situation whereby an owner requests you to hold on to their funds for them. They may be out of the country or need you to hold funds so that they can pay a large expense in relation to their unit. Click on to your Units icon highlight the unit that requires their funds to be held. Select the Change button. On the right hand side of this area select the third button down named Switches. If the owner only wants you to hold funds for one month then tick the Hold Amount at End of Month option. You can then choose to type in an amount, or a percentage or if it’s the total amount simply select Flat from the pull down menu. After you have rolled your End of Month the tick will automatically be released. If you want to hold the funds for the owner indefinitely, then you need to also select Hold Amount Always. 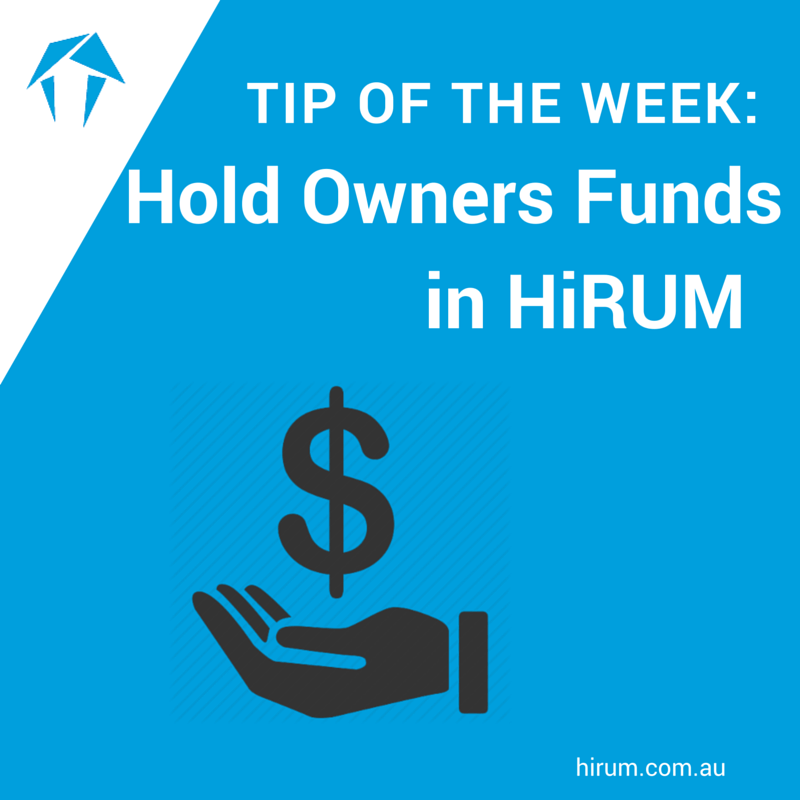 HiRUM will hold up to the amount set in the Amount to hold field. This will hold until the tick is removed.